hip hip Hoera! 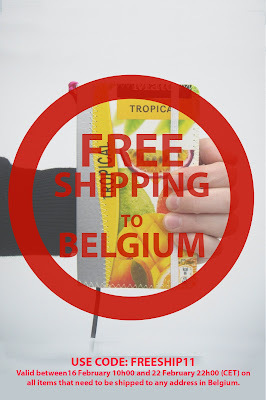 : This week: Free shipping to Belgium! This week I have a special offer for all Belgian fans: free shipping on all items! Valid between 16th of February 10h00 and 22nd of February 22h00 (CET) on all items that need to be shipped to any address in Belgium. The only thing you need to do is use code FREESHIP11 at the checkout in my Etsy shop.